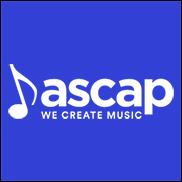 NEW YORK (CelebrityAccess) — ASCAP, the American Society of Composers, Authors and Publishers, announced that they have elected their board of directors. Newly elected writer member in the at-large field is songwriter/composer Michelle Lewis. In addition to Paul Williams, the writer members who were re-elected in the at-large field are: songwriter Marilyn Bergman; composer Richard Bellis; composer Bruce Broughton; songwriter/producer Desmond Child; composer Alf Clausen; composer Dan Foliart; composer/producer Marcus Miller; songwriter Jimmy Webb; and composer Doug Wood. Composer Alex Shapiro was re-elected in the Symphonic and Concert field. The publisher directors re-elected in the at-large field are: Martin Bandier, Sony/ATV Music Publishing; Caroline Bienstock, Bienstock Publishing Co.; Barry Coburn, Ten Ten Music Group; Jody Gerson, Universal Music Publishing Group; Zach Katz, BMG US; Dean Kay, Lichelle Music Company. ; Leeds Levy, Leeds Music; Mary Megan Peer, peermusic; Matt Pincus, SONGS Music Publishing; Jon Platt, Warner/Chappell Music; Irwin Z. Robinson, Cromwell Music, Inc. Re-elected in the Symphonic and Concert field is publisher James M. Kendrick, Schott Music/ European American Music Distributors Company.